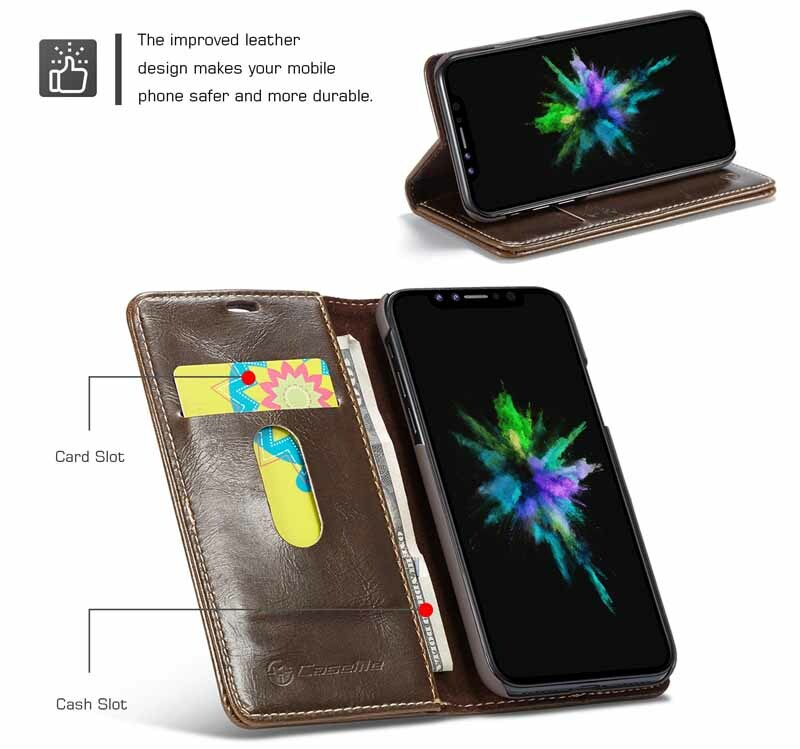 Free Shipping, Buy Genuine Original CaseMe 003 iPhone XS Flip Leather Wallet Case at Casemecase.com. 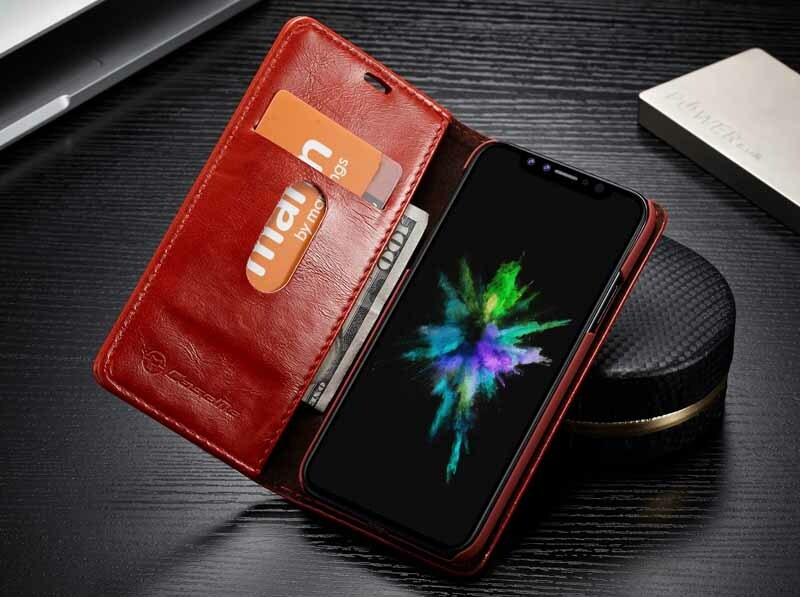 1 Credit Card Slot + 1 Bill Card Slot. 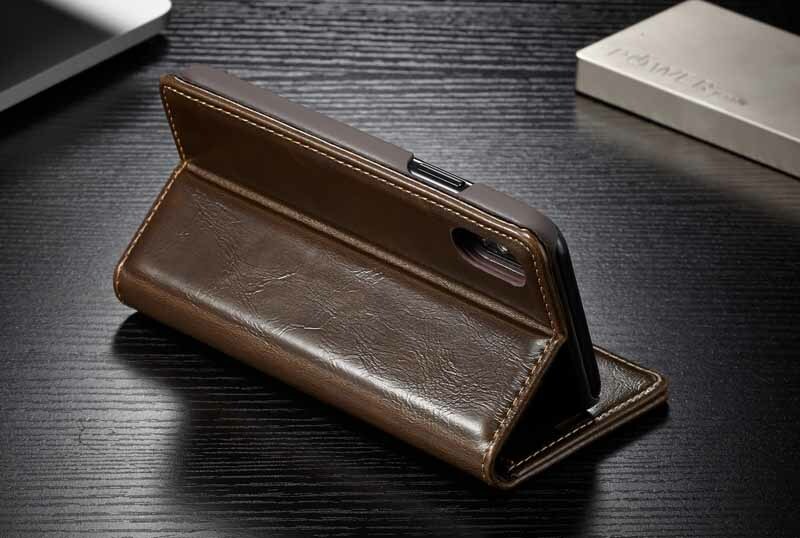 – Snug Fit & PC Surround Back Cover, Protects Your Apple iPhone XS Against Bumps and Scratches. – Unobstructed screen and camera; free access to all ports and buttons. 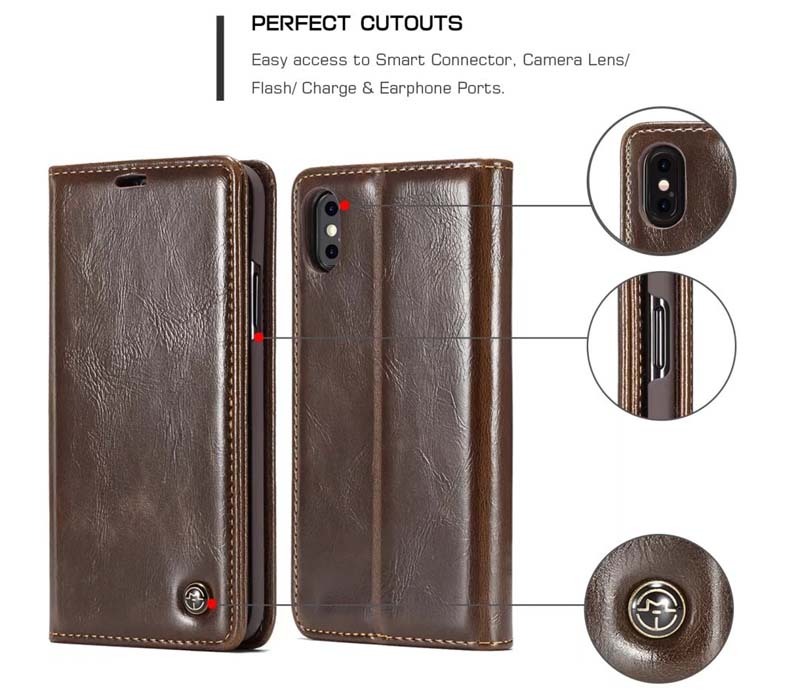 Easy access to smart connector, Camera Lens/ Flash/ Charge & Earphone Ports. 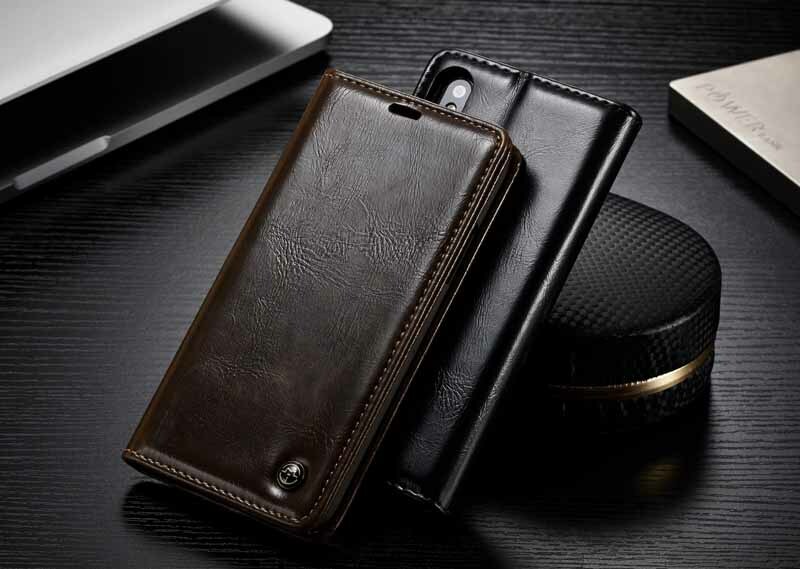 1 Credit Card Slot+ 1 Bill Card Slot. 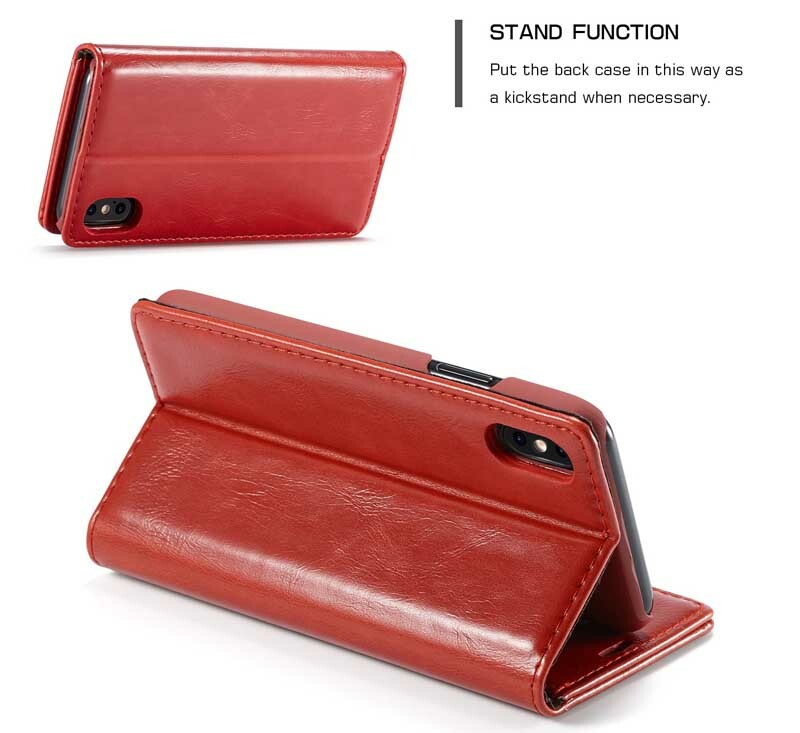 To be durable, the phone case has stand function. You can use to watch video or skype with friend if necessary, it is also popular. 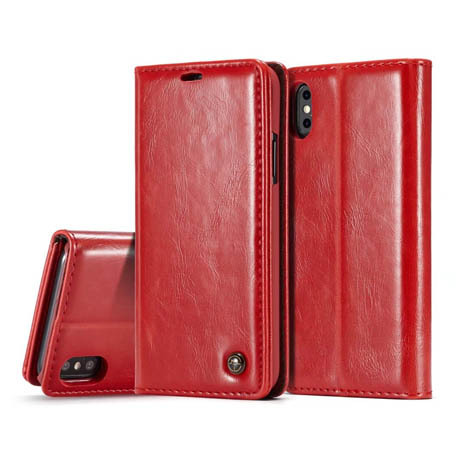 Made with Premium R64 PU Leather Import from Italy Material,Handebade Design . Kickstand function is convenient for movie-watching or video-chatting,and easy to take photo at anytime . 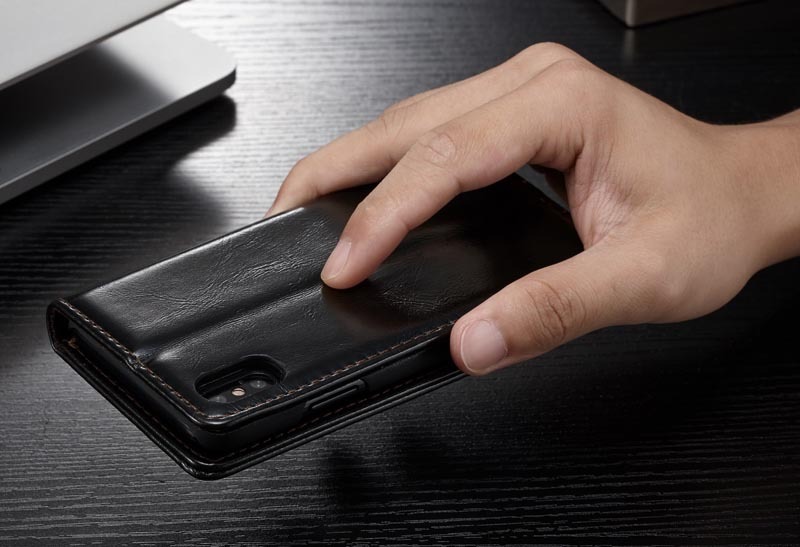 Magnetic closure conveniently keeps your iPhone XS phone tucked away for security.